Supporting food banks and serving those that battle hunger often go hand in hand. That’s why the One Initiative is on a mission to feed one million hungry children in 2018 by donating meals to partnered food banks. Without the organized efforts of food banks throughout the country, this mission would not be difficult to pursue. The concept of the food bank is nothing new. People have banded together to help feed the hungry throughout history. One of the most well-known cases of feeding the hungry can be traced back to the ancient story of a great famine in Egypt and the prince who fed people with food he had stored in large warehouses. 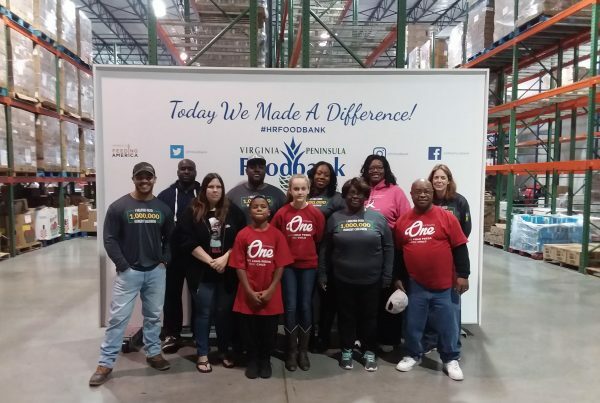 The modern food bank is normally seen as a warehousing operation that collects food donations from local supermarkets, individual donors and other nonprofit organizations. The food is then distributed by inviting those in need to collect food from their shelves. The first official food bank was established in 1967 by a man named John van Hengel. His obituary, published by the Washington Post, explains that van Hengel’s original idea came from his observation of a mother forced to provide for ten children after her husband was sentenced to death row. She had no trouble finding food others were willing to waste, but she had nowhere to store it. Van Hengel set out to create a distribution network capable of storing potentially wasted food for people who needed it. 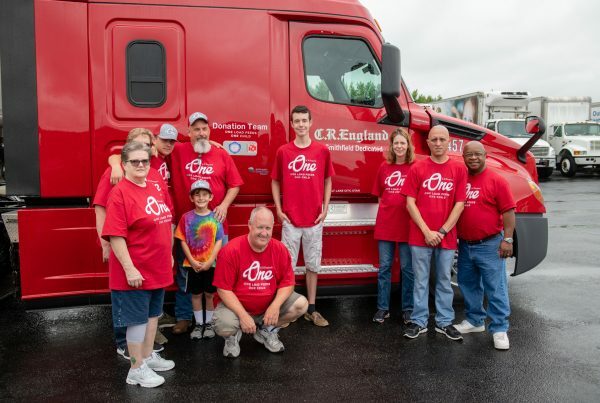 What started out as a single warehousing distribution turned into a nationwide effort that, at the time of van Hengel’s death, was feeding 23 million Americans annually. 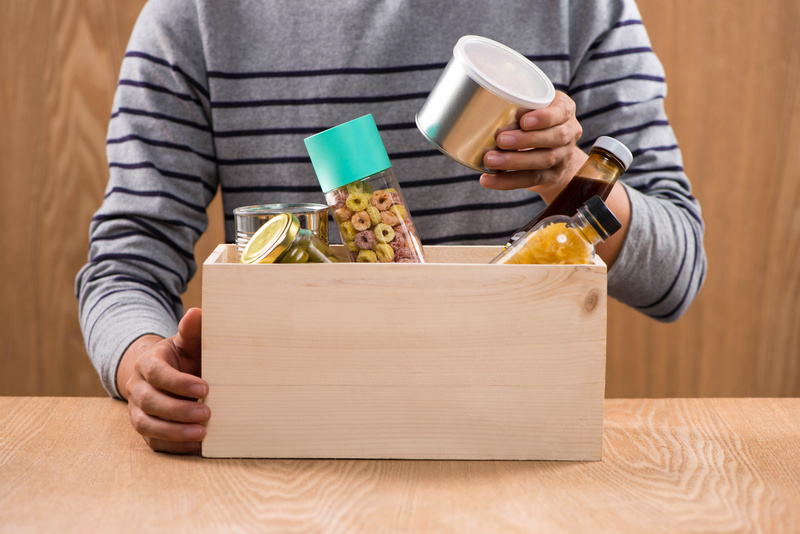 Through his work in a community dining room, van Hengel realized that the mother of ten was collecting food close to expiration thrown out by grocery stores. He quickly understood that the food could be utilized to feed the hungry. While van Hengel was busy establishing his own food bank network, others began cropping up in the 1970s. However, it wasn’t until the 1980s that food banks came into full swing. During the decade commonly referred to as the “decade of greed,” Americans opened their wallets like never before. Food banks, soup kitchens and local church food cupboards exploded all over the country. It was the generosity of the 1980s that fueled the food banks’ ability to feed millions of people by the time van Hengel died. The work he started is alive and well today. C.R. 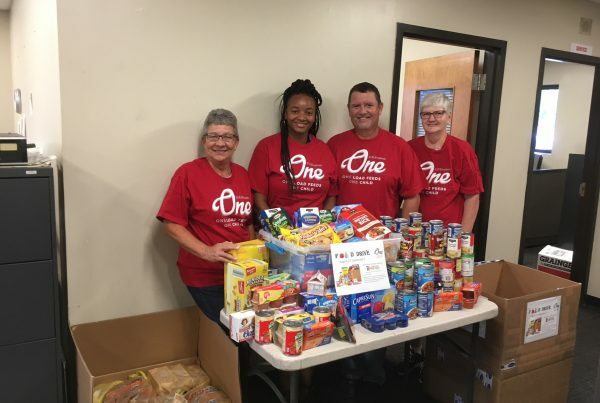 England and England Logistics are thrilled to have the opportunity to support local food banks through the One Initiative. We are proud to carry on van Hengel’s legacy in our fight to end childhood hunger. As a result of one man understanding just how much food is wasted, we now have access to a nationwide network of food banks ready to serve those in need. Thank you, John van Hengel.